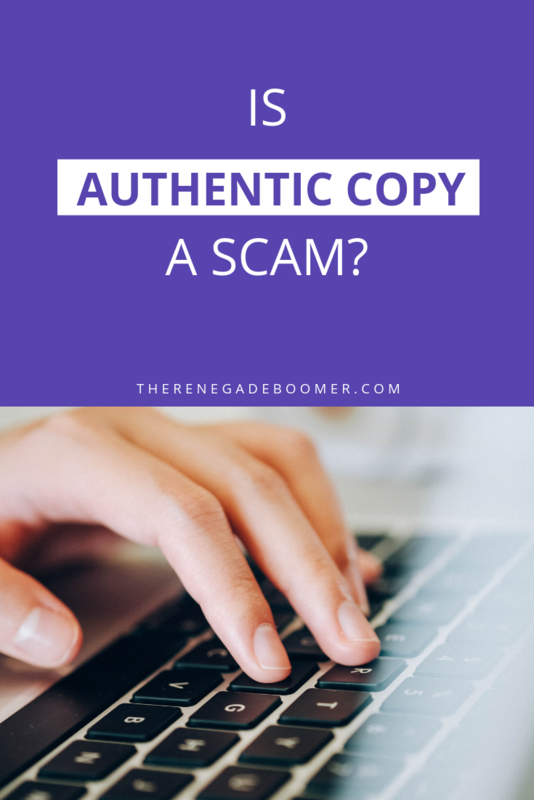 Is Authentic Copy a Scam? 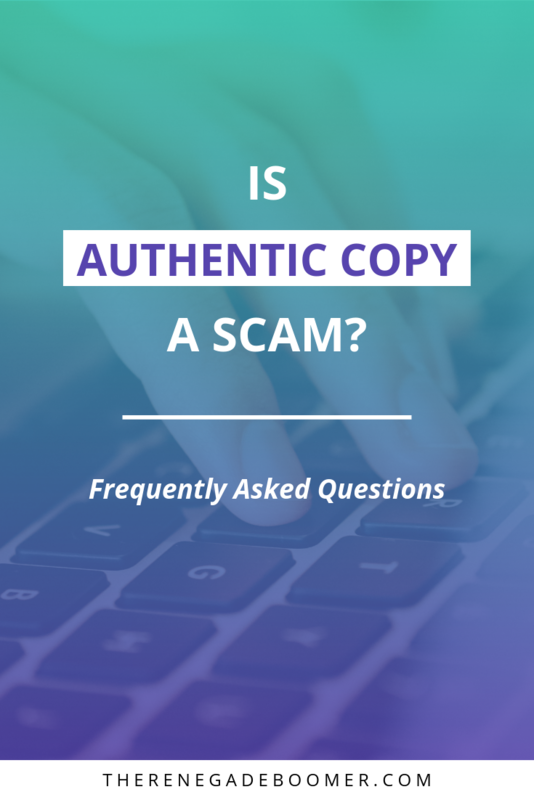 Why Authentic Copy is NOT a SCAM! 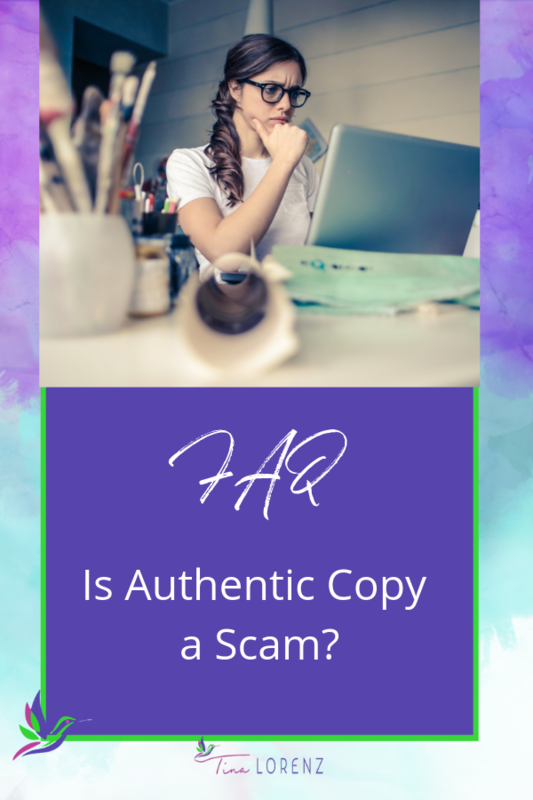 If you’ve heard about Authentic Copy and are wondering if it is a scam then you are asking a fair question! 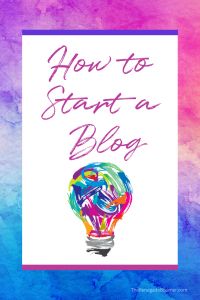 I’m sure you’ve come across many get-rich-quick schemes in the past, and maybe even fallen prey to one…or even a few. 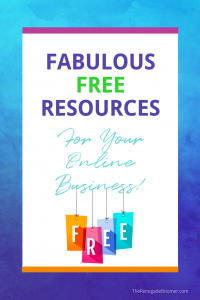 Find legitimate work-from-home opportunities that don’t require a ton of money upfront, building an upline, or constantly bugging your friends and family with sales can be hard! But rest assured that Authentic Copy is not a scam. 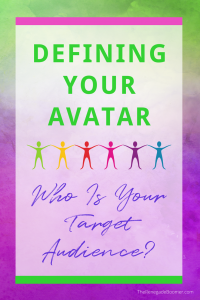 What it is, is an intensive, in-depth course that will take time and effort to complete and implement what you’ve learned into your business. It’s not a get-rich-quick scheme either; it’s a do-the-work-and-see-the-results training program. I’m a real person! I have successfully dedicated my life to copywriting. 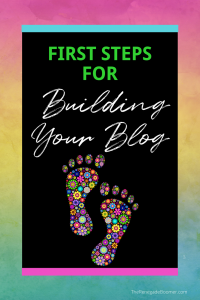 I’ve poured my heart and soul into my Authentic Copy course because I want to help people just like you become successful copywriters and start living their dreams. 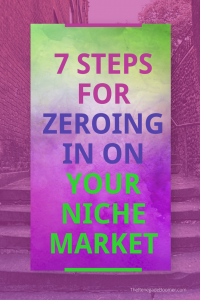 I don’t believe in sleazy sales tactics or taking your money and running. I pride myself on my stellar reputation in the industry, and I intend to keep it that way while I’m on this earth. 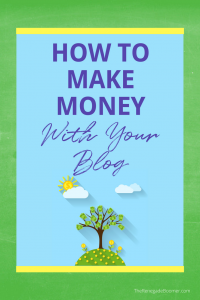 It is absolutely possible to make a legitimate income from home, working as a freelance copywriter. And I want that for YOU. Still not sure? 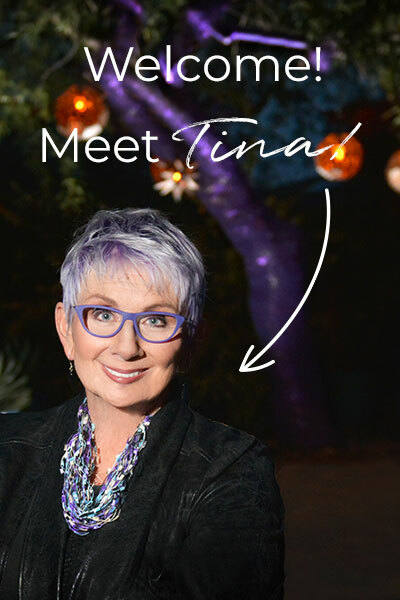 Shoot me an email at asktina@tinalorenz.com. I’ll personally respond and quell any lingering fears you may have!